Control a wide range of pests. Cynoff EC is a liquid concentrated professional insecticide for use on indoor and outdoor areas and structures. For use in: Residential and commercial indoors and outdoors: Apartments, food processing plants, greenhouses, hospitals, hotels, nursing homes, restaurants, schools, warehouses, perimeters of buildings, lawn and ornamental plants. 32 oz. 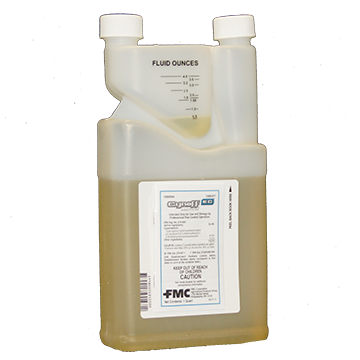 - yields 32-64 gallons of solution. Residual lasts 60 days indoors and 30 day outdoors. Ants, boxelder bugs, cockroaches, centipedes, crickets, earwigs, flies, fleas, millipedes, mosquitoes, silverfish, spiders, ticks, wasps.